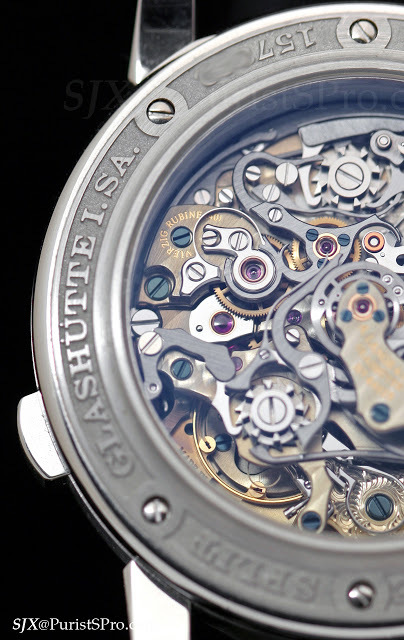 It is not a pretty watch, the dial design is a tad unbalanced, but the L001.1 calibre of the Double Split is a multi layered movement that is a sight to behold. 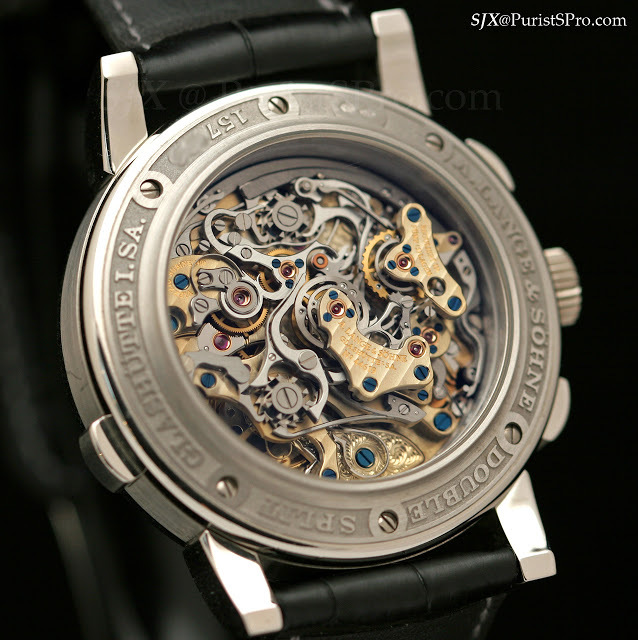 In fact, the Double Split movement ranks up there with the tiny Patek Philippe CHR27-525 PS movement of the refs. 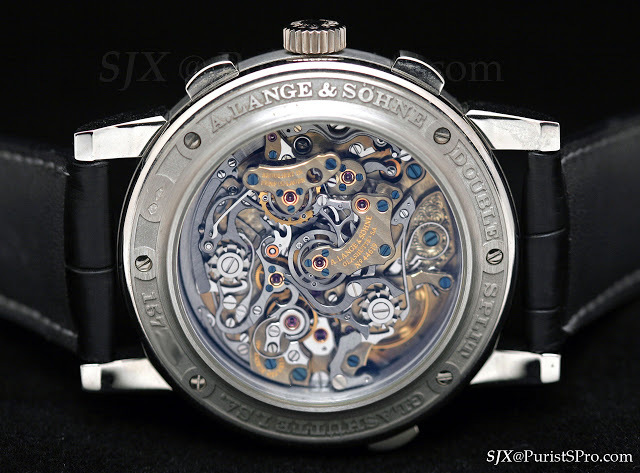 5959 and 5950 as one of the best rattrapante movements today in terms of construction and finishing, in my humble opinion. 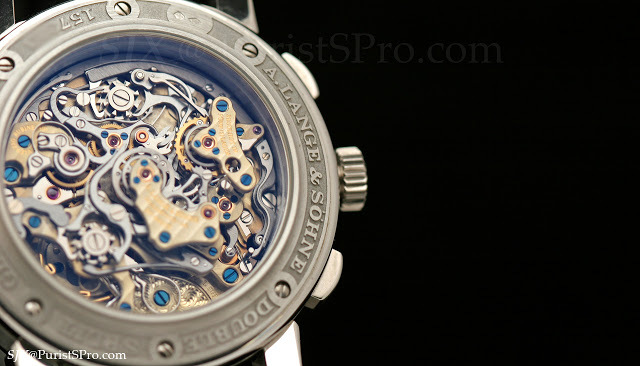 Not only is the movement visually impressive, but technically accomplished as well. 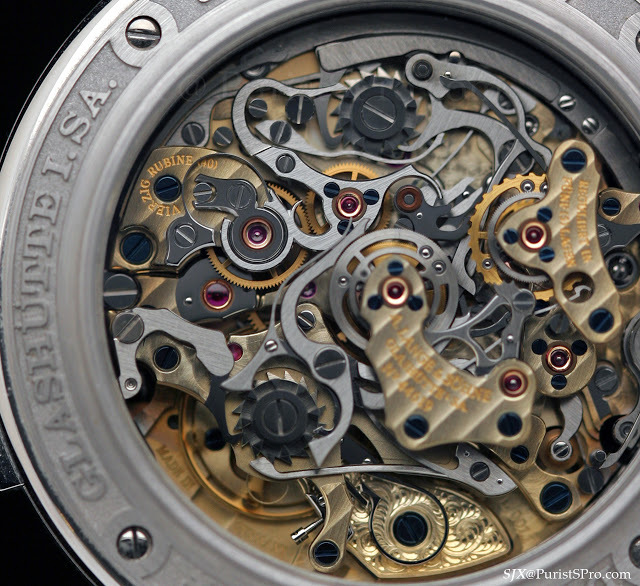 The twin column wheels in the movement of the Double Split are explained by the fact that the Double Split is one of the few watches capable of measuring split seconds and minutes. 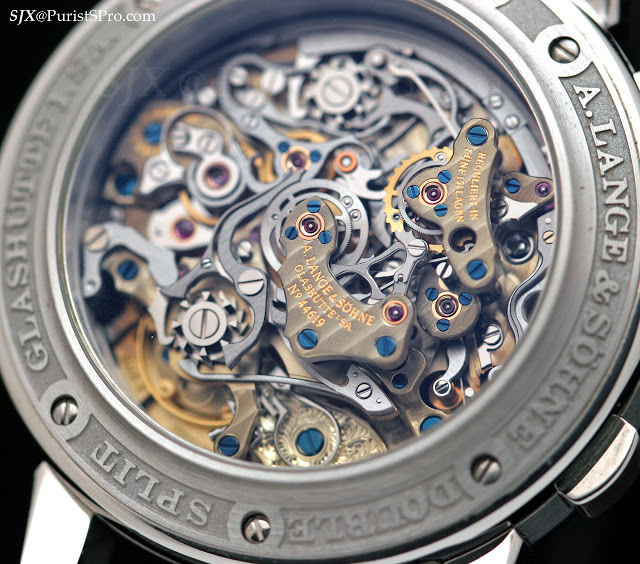 At the time of its launch in 2004, the Double Split was the first wristwatch in the world able to do that. 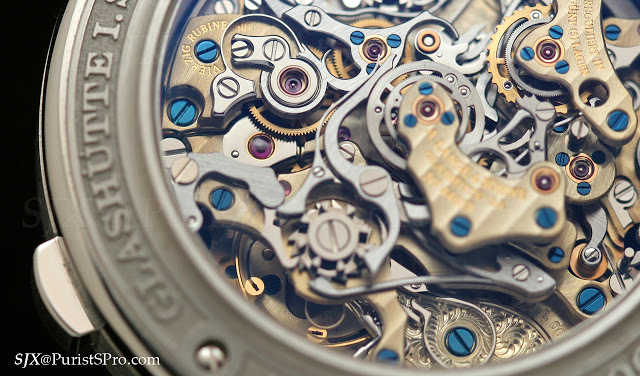 Conventional rattrapante chronographs can only measure a pair of elapsed seconds. 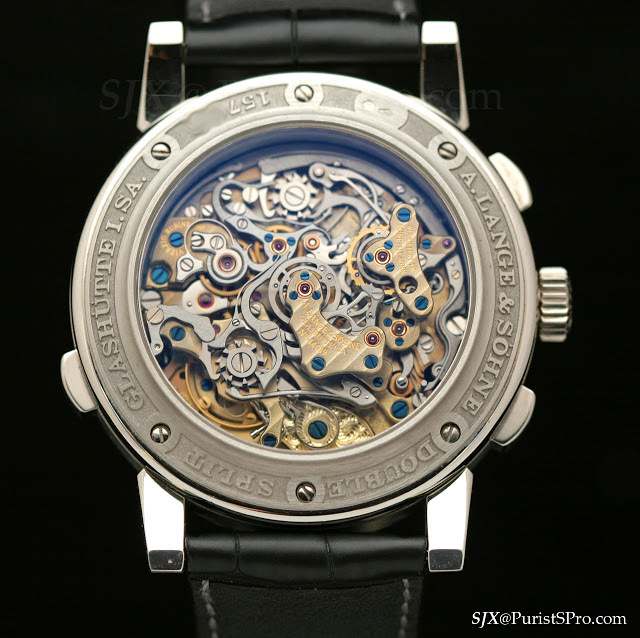 Though more complicated than the conventional rattrapante, the Double Split faces some of the same challenges as its simpler brethren. 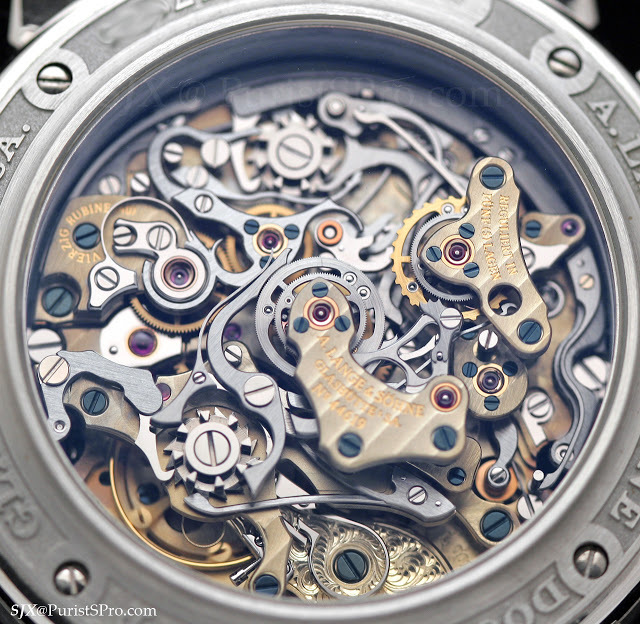 The most commonly cited challenge in assembly a rattrapante is the central column which comprises the pinions for all the hands, each pinion set inside another. 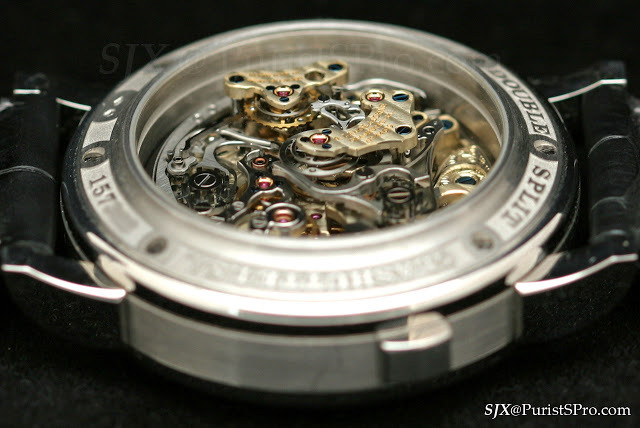 Because it extends from the split seconds hand all the way through the movement to the back, the pinion that holds one of the seconds hand is immensely long relative to the diameter. 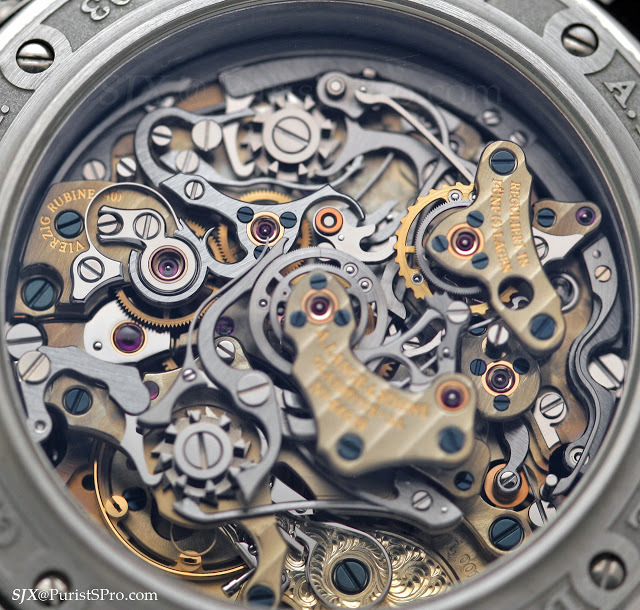 In the Double Split this means the pinion is 9 mm long – with the same width as a human hair. 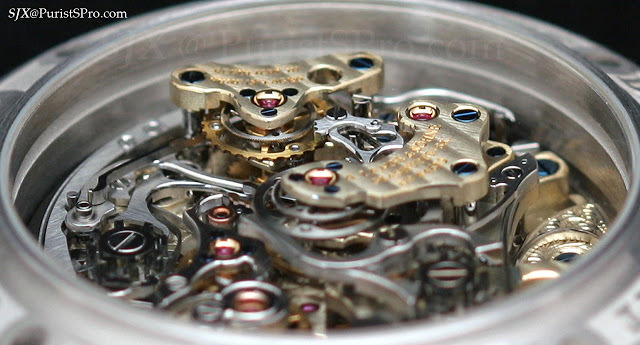 Aligning the multiple pinions in the centre, ensuring each is perfectly parallel, requires significant dexterity. 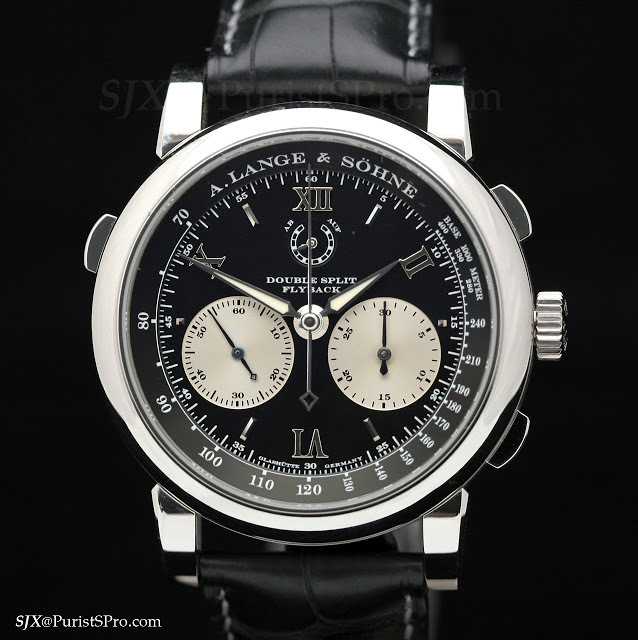 Traditionally rattrapante watches were grande complications, alongside tourbillons and repeaters, until the IWC split seconds movement of the Doppelchronograph and Dubois Depraz rattrapante came along in the nineties. 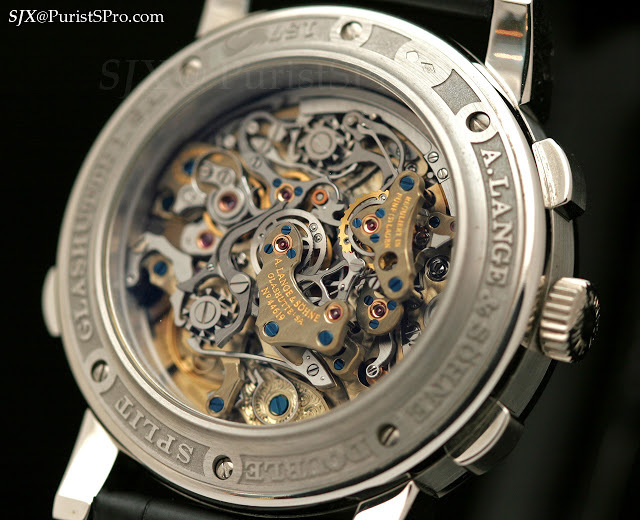 They affordability and simplicity of those movements totally killed the allure and perception of the rattrapante.